Haryana Government to conduct Forest Guard (07/2016) Examination Soon. As per official sources, CM Manohar Lal Khattar has instructed HSSC to wrap up the old recruitments. Note that candidates in Haryana state are waiting for Forest Guard Admit Card 2019 since a long time now. The HSSC Forest Guard Admit Card 2019 will be released for Written & PST/PET Tests. An update for the Forest Gaurd’s written exam and physical test (PST, PET) shall be in the candidate’s eyes as soon as “Haryana Staff Selection Commission” will publish the latest exam date. HSSC Forest Guard Admit Card 2019 once acquired by individuals shall reveal all other significant particulars like Roll No, Time-Table and Venue to check in for the exam paper. The recruitment notification under the advertisement no, 07/2016 was announced more than 15 months back in December 2016 but still HSSC FG roll numbers & selection test’s exam dates, both are obscured. This month it is estimated that Haryana Forest Guard exam date and admit card will be out as all other exams lying in the same notice has been taken care by HSSC. Candidates are advised to keep on checking the status of HSSC admit cards from the Haryana Staff Selection Commission’s official website i.e. www.hssc.gov.in. 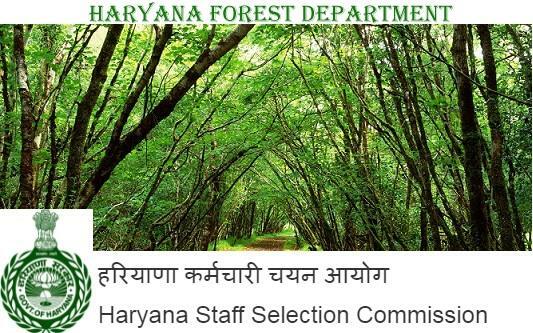 To deal with the protective duties in the Forest Department of Haryana, HSSC is going to recruit watchful and conservative job aspirants. With a view to selection, examinees need to endure the physical, written, and Interview; shall be conducted in a short time. Staff Selection Commission, Haryana is done with the written tests for all other variant advertised posts i.e. RFOs, DRFOs, and other Officers. But the Forest Guard (F.G) Exam Date is still hanging around. The questions for the Screening Test will be from topics like General Knowledge, General Mathematics, and English Dictation. Female Standards: 14 KM stretch in 4 Hours. Male Standards: 25 KM stretch in 4 Hours. Despite the uncertainty of recruitment events, calmness and constancy of candidates would really be appreciable. As far as the call letter (e-admit-card) is concerned, it will be managed and issued by the commission ahead of the respective examination’s date, on the official website. Here’s suggesting to keep yourself energized and prepared during the process of recruitment. For the problems & queries, please get in touch with the HSSC department instantly. Haryana SSC Forest Guard 2019 Admit Card for Written & Physical Test will be uploaded shortly here. Hi, Shashank. An exact date is not unveiled yet, as soon as it is out you can check it from the post available here. For updates and notifications, you may stay connected with us. Thanks for reaching us. It will be there soon Mr. Foogat as HSSC has started conducting the exams that fall under the same advertisement 07/2016. Sir, forest guard wala paper kab tak hoga. Check the latest information that has been updated in the post, Mr. Kashyap. Hello, sir. forest guard ke admit card kab niklenge? Sir admit cards kab Aayenge plz tell me? Hello Ms. Panfhal. Our special team has been looking into this matter every single day. As of now, there is no notification to upload the admit cards. However, you will get updated via this page as soon as the same are released. Kindly bookmark this individual page and stay tuned. Sir kB tak aave ge admit card please tell me sir please? Kb tak aa jaayenge admit card? Previous Post HSSC Group D Admit Card 2019 (04/2019) Download For Cook, Peon, Dhobi, Mali etc.